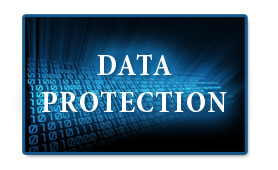 The Data Lock Service lets you keep your data safe from unintentional deletion through common use. It is fairly common for our customers to hand out promotional memory drives to clients and we always get asked if there is a way we can prevent their clients from deleting valuable content. With our Data Lock service you will never have to worry about your clients, or end users, deleting your files from your promotional USB drives again. 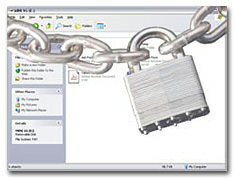 A non-removable data lock repartitions the flash drive into 2 partitions, where static files are loaded on one partition and is not erasable or editable, yet leaves the second partition available for user information. This is best when loading data like catalogs or informational documents you want the user to keep. With a CD autorun repartition of the USB drive, one part acts like a CD and can autorun your menu, presentation, or software. This will act like a CD so any place a typical CD autoruns, so will your drive. Also, the contents are non-removable or editable just like a CD and a typical data lock repartition. Also like the standard data lock, the remainder of the USB drive capacity will still be seen by the user as a USB drive for continued file storage. We offer a myriad of U styles to choose from, however this service is currently available for capacities of 1GB and above.